Amelia Earhart Squadron 188 members Lt John Stevulak, Lt Gene Rugroden, SM Eric Choate, Lt George Michelogiannakis, and SM Karin Hollerbach attended the Livermore Airport Open House on October 5th. It was a gorgeous fall day and a lovely way to spend the late morning / afternoon. 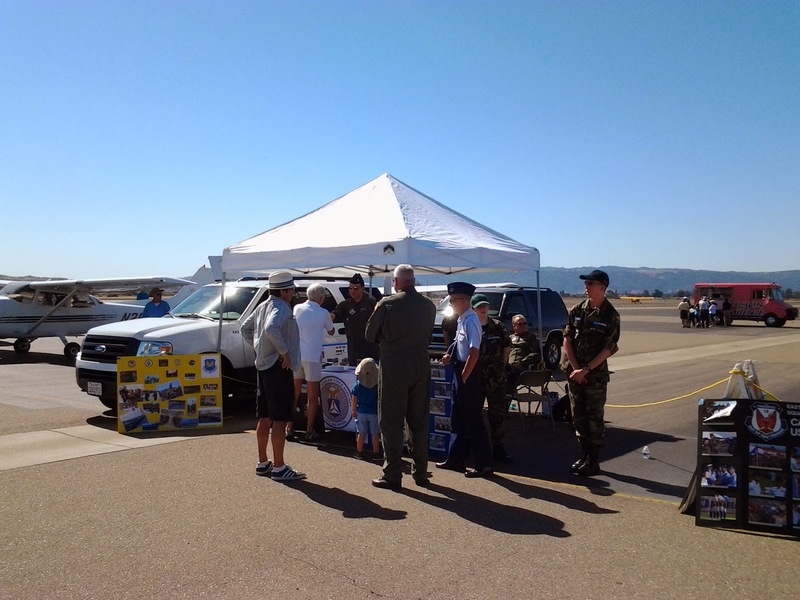 Squadron 188 shared the booth with members of Cadet Squadron 18. It was great having the cadets there, as they were impeccably attired and a pleasure to watch in their interactions with the public. CAP can be proud of their participation. 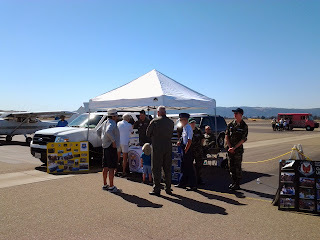 A number of visitors stopped by our booth and asked about both pilot and non-pilot positions. 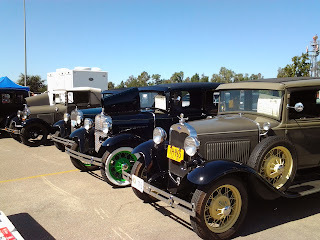 For the non-pilots, the radios in the CAP vehicle were pretty cool! 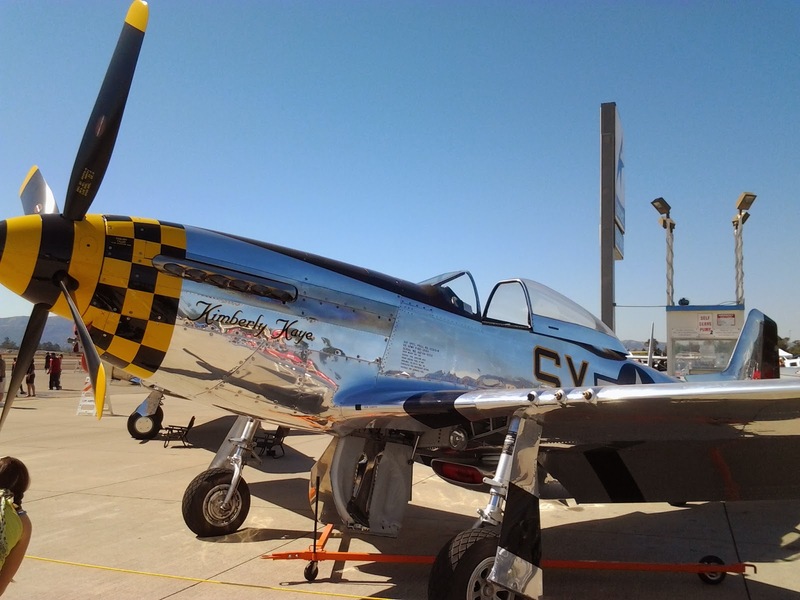 Not everyone realized that CAP has a lot to offer for both pilots and non-pilots! We loved having parents and their kids come by to learn about CAP including its cadet and aerospace education programs. Several people were a bit shy about approaching, so reaching out to them as they stood, watching from a distance, was well worthwhile and gratifying. One young man (17) is hoping to join the Air Force and was thrilled to find out he could join CAP now. 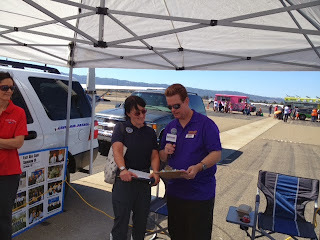 Livermore’s radio station KKIQ came by the booth and did a mini interview, to help spread the word. These guys are great. Wandering around the airport was a lot of fun, as there were cool cars and planes on display, not to mention a lot of friendly people (and dogs) hanging out. All in all it was a great day. We recruited a number of Cadets for Squadron 18 and Concord, and a few Senior members too. Audio from a KKIQ interview with SM Karin Hollerbach.